How much projector can you get for $549? A lot, it turns out, with the just announced--and already available--BenQ MH530FHD. It has HD 1920x1080p native resolution, and its 3,300 ANSI lumen brightness is more than enough to light up a 10-foot diagonal screen even in moderate ambient light. For small rooms, the 1.2x zoom combines with a short enough throw to project a 100" image from just 9.25 feet. Beyond that, the light weight and small size offer easy setup both for permanent installation and for carrying from room to room or to the backyard for an outdoor movie night. As a bonus, the price includes a three-year warranty for the projector and a longer-than-typical one year or 2,000 hours for the lamp. The DLP-based BenQ MH530FHD doesn't stand out for any particular feature so much as for how well its balance of features delivers more than its share of bang for the 549 bucks. Taken together, the full HD resolution, solid contrast ratio, and 3,300 ANSI lumens promise a suitably detailed, saturated image that's bright enough to stand up to ambient light even at a 10-foot diagonal or larger, while the all-glass elements in the light engine and cinema-grade lens stand ready to focus the image without degrading it. Several features similarly work together to make installation and setup easy. The small size and light weight--at 3.9" x 13.1" x 8.4" (HWD) and 5.3 pounds--obviously helps. So does the 1.2x zoom lens, which will let you position the projector at a range of roughly 11 to 13.5 feet from the screen for a 120" image. For the screen size you want, check the BenQ MH530FHD Projection Calculator. The zoom along with the three adjustable feet let you put the projector in roughly the right place, then adjust image size, raise or lower the image using the feet, and adjust the image top and bottom to be parallel to the screen edges. The dedicated Quick Install button on the remote puts you one touch away from the Install menu, which includes options for a test pattern and for adjusting vertical keystone. Small size, light weight, easy setup make the MH530FHD an obvious choice for portable use-- moving from room to room or to the backyard for a movie night. A 2-watt onboard speaker will provide audio in a pinch if you need it, but very large screen video demands big sound. You will want to go with an external sound bar for portable use, or a full surround sound for the most robust movie theater experience. For permanent installations, the two HDMI ports and two VGA ports let you keep multiple devices connected, so you can easily switch between, say a game console, a set-top box or streaming wireless dongle, and a PC. 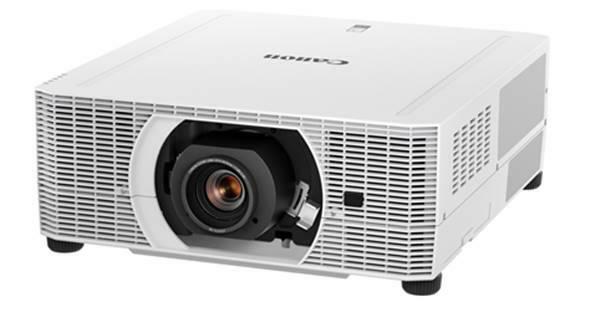 The BenQ MH530FHD warranty offers better coverage than with many models, at three years for the projector and an unusually long one year or 2000 hours for the lamp. Also helping keep costs down is the long lamp life, rated at 4,500 hours in Normal mode, 6,000 hours in Eco mode, and 10,000 hours in SuperEco mode. Replacements are only $149. 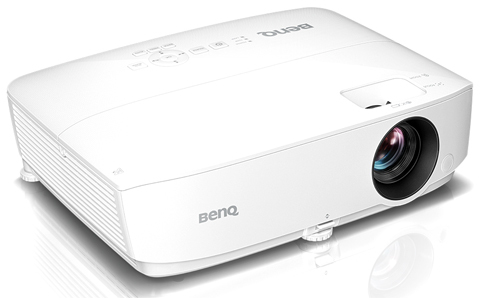 BenQ has good reason to call the BenQ MH530FHD its best value home theater projector to date. We are anxious to get one in for review. I'm a diehard LED projector fan but this projector has just the right combinations of features to add it to my arsenal. Unless you uncover some really annoying aspect; I will buy it and an additional lamp (as insurance of course). I can't wait! Now I'm reconsidering having just purchased a HT2050. The low lamp price and long bulb life, and more lumens along with similar specs to the 2050 make this appear on paper to be the best bang for your buck. Can't wait to see reviews and how the two compare. Bob, you fortunately really don't have to reconsider your purchase. This relatively weak bulb putting out about 3.300 ANSI Lumens means it's not an RGBRGB wheel, unlike the HT2050. Also, this is likely a fairly cheap bulb, mostly focused on a long life, cheap parts and high brightness - fine for a business projector, less so for Home-Cinema. The HT2050 is a really great projector with an RGBRGB colorwheel, ISF grade colour controls and just a little better contrast than you can expect for under $1000.